Kimba is having a garden party! You remember this hanger from my weekend yard sale treasures? She got a new coat of green and I hung her up on the side fence to hold towels. 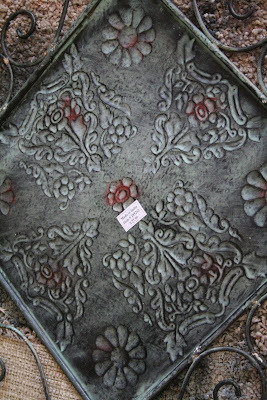 I got this decorative metal thingy at Hobby Lobby last year in their garden clearance for 90% off, but wasn't crazy about the color. Love this color for outside. So, if you have a real vegetable garden, is it okay to have a fake plant outside on your table? Oooo, I love the green! I would have never chose it on my own, but I really like the way the green pops against the fence and brick. 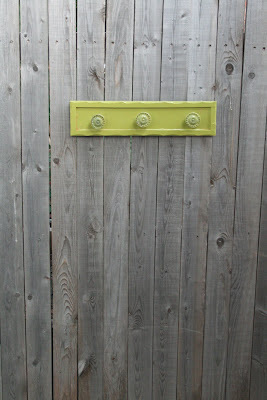 I used that exact color to paint a metal barn star for above our backdoor outside! 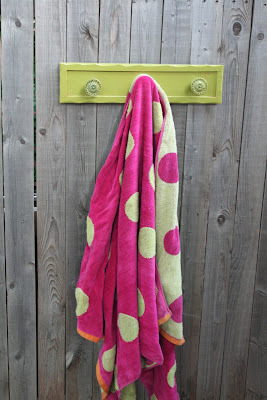 It is a great color, and I love it on your new outdoor towel hanger. Great idea! I've got to get myself a can of paint. You've done wonders with that can of green! 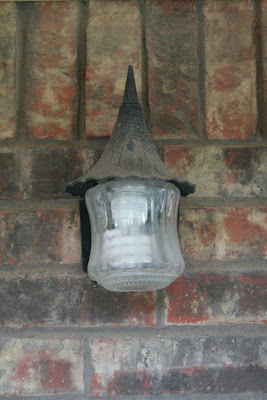 We are in the process of switching out our porch lights for new ones that are very similar to yours. I love the "decorative metal thingy" hanging under it, I just might have to copy that idea! Goodness sakes Melissa - you are so creative! 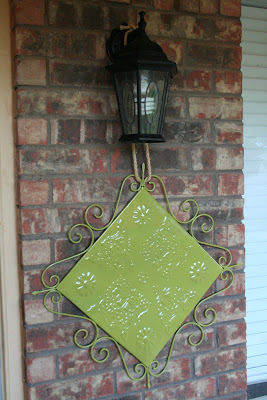 I would have never thought to have hung that tray under the porch light! And what you did with the little hanger is such a great idea. Thank you for the inspiration! hey there... just wanted to let you know that I love your outdoor projects and am totally in love with your blog... very inspiring!!! You ooze with creativity. Thank you for sharing your great ideas. As one who has inflicted unforgivable pain upon numerous plants over the last few years, I say fake plants are *always* okay *anywhere* provided they look somewhat real and aren't covered with dust. If you hadn't mentioned it, I wouldn't have known the fern was fake! Great makeovers! 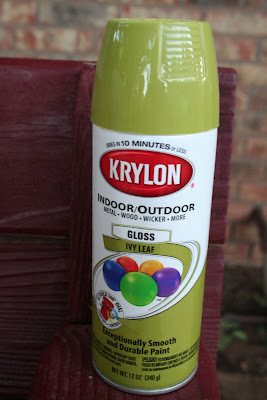 I love me some Krylon, it RoCkS! And, like others, I would have never known it was fake if you hadn't confessed! The green looks fantastic! :o) And your garden is lovely!! I just love that you have a fake plant outside. You are my kind of "gardener"!!! Your fake plants made me smile! I love, love, love adding a coat of paint to something and completely changing the look! Great job! I love the green! Everything looks great! Weeds is what I grow best!!! 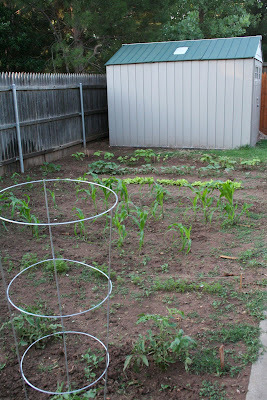 We just planted our first garden & just harvested our first beans. I was so excited. 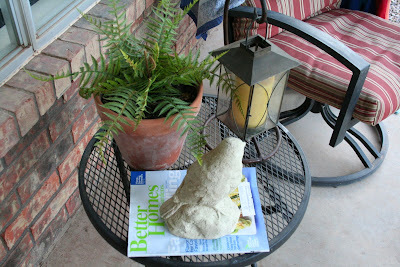 I love the pop of green on your outdoor accessories. that looks so much better green! I'm so impressed that you are growing corn that I wouldn't even notice the fake plant. I used that same color for some of my outdoor projects too. Love all that you did! Isn't spray paint awesome, what a transformation on the Hobby Lobby piece, love it now! Love the green paint. 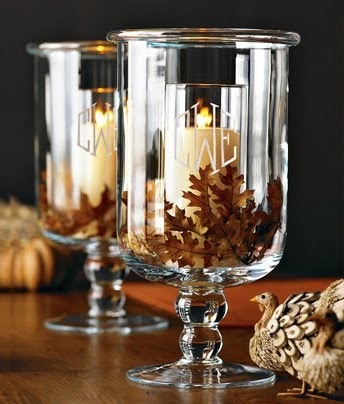 Hey the Hobby Lobby thing would look more awesome with a monogram on it of your last name..maybe in hot pink or orange..? Green is my favorite color, and I am LOVING those knobs. I have a can of that exact same spray paint. Now you've inspired me to see what I can paint with it! Really cute projects. Thanks for visiting my blog. Happy Wednesday. Lovin that polka dot towel hanging off your green hanger....delish! I love the funky green thing that you put by the light! I would have never thought to put it outside. Thanks for the inspiration!! You rock-your ideas are the bomb!!! Love that green! Hanging towels outside is a great idea. Love the polka dot one! I love the color of the spray paint. I am becoming fast friends with my little collection of spray paint cans. Spray paint is like a mama's magic wand! ;) Can't wait to see what you do to the other things you bought. I love that color! I have a can of it just waiting for a project. And it looks like your garden is off to a great start. Thanks for sharing! I need to fix me a towl rack for outside cause I have a pool and all the beach towels get laid on my porch and sometimes they multiply pretty quick....thanks for sharing your project...love my garden just like you do yours. You have such a great eye for design. 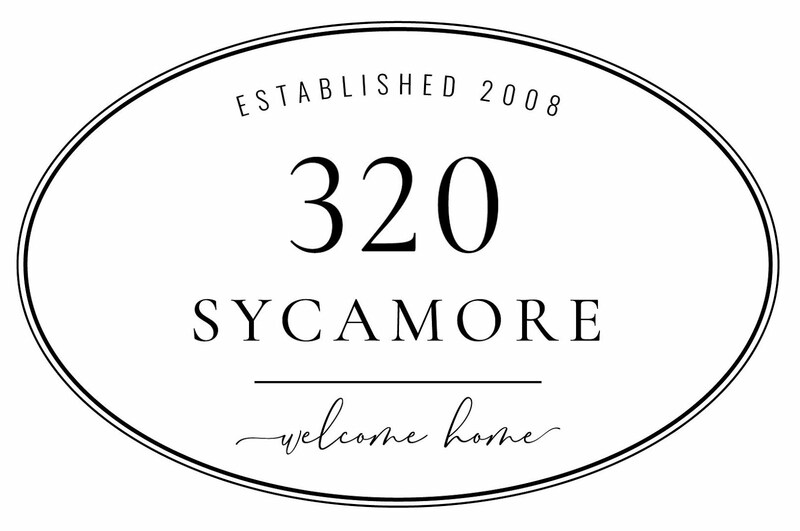 Thanks for the photos of your home. It's almost like a mini "home tour". Thank you for sharing with us. I love your green hanger. You inspired me to do the same thing by my pool. Why didn't I think of that? I'm glad you did. Thanks for the wonderful idea. I posted the one I did on my site.